Home » Kadhambam Corner » How to Add/Change photo-Smart Card/Ration Card Online using Tnpds website? How to Add/Change photo-Smart Card/Ration Card Online using Tnpds website? Procedure for Add/Change photo-Smart Card/Ration Card Online using Tnpds website is described in Tamil in the video given at the end of the article. Tamil Nadu Government started giving the smart card instead of old Ration card. The old ration cards will be converted automatically in to the smart ration by the government. The existing ration card holders will receive an PIN on their mobile and they can collect their smart ration card from their nearest distribution centre by showing the SMS or showing the old ration card. Tamil Nadu government announced that general public can add photo or change the photo for the new Smart Card online, if they did not add their new photo through the nearest distribution center. Below is the step by step procedure to apply online for Smart/Ration Card in Tamil Nadu. Go to the official website of Tamil Nadu Public Distribution System at www.tnpds.gov.in and login to your account by providing your registered Mobile number. Click on “Family Head Photo” in the left side of your account Page. Choose the Photo file or if you are using smart phone to login, right from there you can take a picture and upload it. Click “Smart Card Details Edit” on the left hand side. Check all the details were correct. If anything wrong you can click the edit option and change the details. If you want to add or change the smart card photo, click the “upload” button near the photograph and slect the photo file. Or click the button “Capture” , right from there take a picture and upload it. 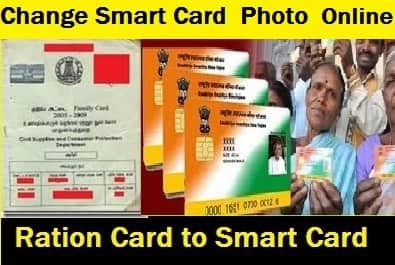 If you did not apply for the Smart Card please follow this link to know how to apply for Tamil Nadu Smart Ration card. How to Apply Smart Card? The picture file should not exceed 2 MB. The supported file format is JPG, PNG or GIF format. What is the next step Once your correction is approved and the changes are reflected online? How and When can i get new updated Smart Card? Answer : Go to the nearest e-seva center with your registered mobile and print your new smart card instantly . For any queries or doubts you can call the toll free helpline number of Public Distribution System at 1967 or 1800-425-5901. How to solve problems in Smart Card TNPDS? Subscribe us to get latest updates. Visit our Technology corner for more technology news. How to Apply New Smart Card-Ration Card Online using Tnpds website? You can call the Customer service number or try the live chat(morning time) and give your application number and ask them to change the district and reprocess it. sir while appling new smart card the husband name is missing.so tha application status is notified the remarks.but how wecould edit the application…. if there is no option then call the customer care for help. My name deleted in ration card. As I went outstation for job.but now I back. I want include my name again. Adding/Deleting name in a Ration card in done through Taluck Office only. Go to your taluck office and apply for adding the name. pls contact the helpline to change the DOB of family head. To add/Remove name from Old ration card. you have to visit Taluk Office with your father death certificate(if you dont have DC just visit taluk office they will say some other procedure).hope you understand. Sir …I hav received my smart card ,but my name is altered as my maiden name rather than my name aft marriage. What shd I do…even if I could edit the name online, will I b issued a new card ? only then I could use it as proof . I have received my smart card in Tamil where our Sirnames are spelt differently and wrongly for each of us though it is same for all. My address too was changed 3 years back itself in my old card but the smart card carries my old address. I have applied online for correction and I received that it is resolved but my profile shows same mistakes. What should I do and after correction how will I get my new smart card. My query status shows as rejected by TSO. Latest updation was my photo, which was very small to within the limited size of 10kb. 9.93kb to be exact. I had gone to the website, and entered the users portal and saw, while all other details including a small photo was present. what to make of it? I was asked to contact the TSO. I had changed the name which was duly carried out, but the latest photo updation was rejected. Has my card would have gone for printing with the available small size photo. How to know the status of the printing of ration card. When i click the apt menu, i only get , your small card is not yet printed like message. I uploaded the photo again. How TSO rejects when the process is automated one.what would have the cause of rejection.Please also tell whether one should tick the certificate everything is true, if one has to change the photo alone. When you upload, you get the message , that it is successfully changed . Thank you sir, Probably that would have been the reason. The query was generated, as i submitted the “this is true” certificate, and it created an query number. There is a bug . It should not accept if one only changes the photo and inadvertantly click the true certificate and submit. How to view the change? Is there any way that i could verify the same. Since it admitted my certificate, it generates a query number, which is not a necessary. It is just an addition to the existing detail. Thanks so much for your timely tips. It would save somebody, who has the doubt to click or not the true certificate. I recived your article about router attack. Is it written by you are you take from other sites. If from other site you can mention the site name as refrence. Hi, It is my personal experience, There are general articles on router attacks in recent times. I have been using avast, and it gave me the dns hijack, when i just use my router dns given by my ISP. The solution was given to change the dns. once changed , the dns alert has not been shown. For your information, i even wrote about to avast, but they just did not reply me whether it is false positive. The router is prone to attack, which is not known to the users, as it gets every data without his knowledge . it takes them from router . Anyhow, i will give some links in my next post. The concern is everybody is thinking router as a electronic device, but it is the gateway of our internet access. Dont worry. every one have this problem. just login to your account and click edit smart card and change the details.upload the proof and submit. now they are not printing the new updated card.it will take a month to print. Hello admin, I have applied for address change from ooty to chennai in tnpds website on 17 jun, I am going to ooty this week for completing the process. I applied for smart card 3 months back but haven’t received yet. Can I change the address to chennai and then apply for smart card with chennai address? Or while doing the address change, if i recieve smart card with ooty address what should I do? Hi Sir,We have an existing ration card.Our family head was my husband who died 10 years back.I want to change the family head to myself in the new smart card.But not yet filled an application for smart card.Now what is the procedure to obtain a new smart card with my name as family head?Please help. Thank you so much for time and esteemed service. 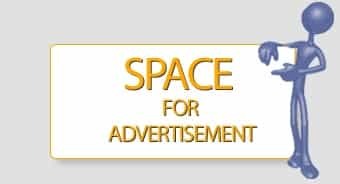 You are most welcome..refer our website to your friends.Share your knowledge to our viewers by posting some articles..
pack. Skinny Jeans – This piece will invariably remain stylish since its flatters all body shapes and sizes. I have joined your feed and stay up for searching for extra of your excellent post. Sir I changed my Smart cards Address,but it rejected,what can i do now. re-apply and submit a valid proof of your address.also contact the local authorities with your proof. I am sending itt to several friends ans also sharing in delicious. And certainly, tuank youu in your effort! Family Head Photo is missing. how to upload photo in online ? now some options are blocked. but you can try to change through eseva maiyam.